So it's no secret that my birthday was Tuesday and I felt beyond spoiled...and I still have a few gifts coming my way. So what did I receive for my birthday? One. 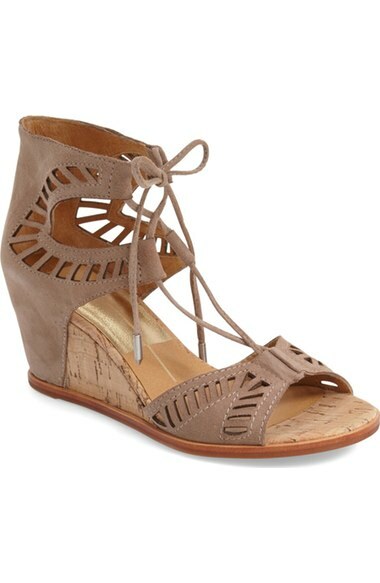 You know those wedges on Nordstrom that I have been wanting for months, but never pulled the trigger on? Yep, those Dolce Vita sandals. Well they are now in my closet and I am beyond excited about them. I even wore them that night to my birthday dinner. Giddy doesn't even cover how happy I was and am to have these babies. Two. You know those loft crop pants that I love so much? Well I got them in the seafoam (a very light green color) and grey. These are the perfect work pant and my work clothes needed a serious overhaul. So thank you for the new pants. Three. I was also in serious need of new workout clothes. 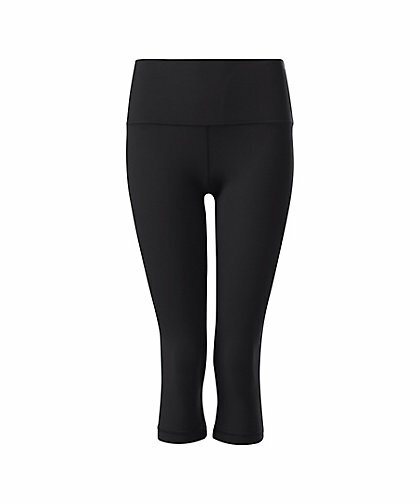 My in-laws went to Lululemon and bought me some yoga pants that are amazing. I love their leggings so much. So comfortable and well fitting. Four. My in-laws (both mother and father and sister and brother) both bought me gift cards to Lucky Jeans. Now I can get myself a new pair of skinnies for the Fall. Five. The last one is a gift from the NFL since I haven't received the others yet. The NFL is gifting me with some preseason action starting this weekend and I am sooo excited for football. I can't believe football is here (yes it is only preseason) which means Fall is around the corner and that means tailgating and so much more. So thank you NFL for your awesome gift. And that's it for my favorites. Have a great weekend! Lucky girl! You received some pretty amazing gifts. Yay! So glad you got the shoes!! I love mine. They are seriously so comfy! Looks like it was a great bday. Happy Friday! Love those shoes!!! Happy weekend! Me too. I am wearing them today! Have a great weekend! Yay wedges, those are too cute! You had a great birthday! So excited about football too! Have a great weekend! Those wedges are so cute! Glad they have found a new home in your closet! What great gifts! I loooove those sandals, so so pretty! Enjoy your weekend! OH GIRL!!!! You know I'm so jealous of you and your new shoes!!!! I want them soooo bad. I need to tell B to get them for me for our anniversary... only bad thing is that it will be in December and I won't be able to wear them because it will be too cold. Haha. You got some good stuff! I hope you have a great weekend! Happy belated birthday gorgeous!!! Yay on the DV Sandals. We love football round these parts so YES to preseason and glad you got showered with fabulous gifts...you deserve it sweet lady!! Yay Lulu leggings and those sandals are so cute. Happy belated birthday! XOXO I love those wedges. Great gifts!